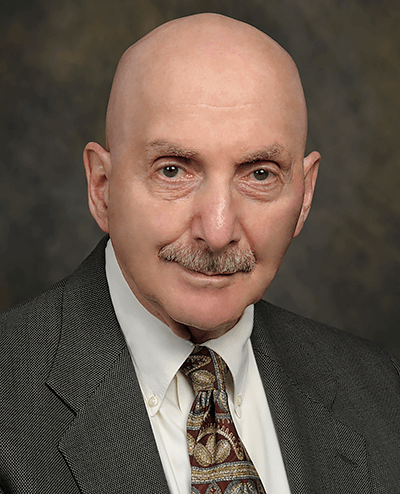 Michael Bass is Professor Emeritus at CREOL, the College of Optics and Photonics at the University of Central Florida (UCF) where he served UCF as Vice President for Research from 1988 to 1992. Bass’ significant inventions in the area of optics and spectroscopy have optimized the use of lasers and optical systems, aiding in the treatment of major diseases and improving the design of the world’s fiber optic communication system. He has been active in optics research since his thesis studies, developing technologies that deliver laser light to treat internal bleeding and tumors as well as rare earth ion spectroscopy that tracks nanoparticles, aiding in the treatment of disease. Through collaboration with colleagues at CREOL he also invented the “beam control prism,” a method to extract light from high power lasers while optimizing cooling, which was licensed and commercialized by Florida based, Rini Technologies; and he designed methods for amplifying space-multiplexed optical systems that promise to be a major part of future communications networks. Prior to coming to Florida, Bass served as director of the Center for Laser Studies and department chair at the University of Southern California (USC). Earlier in his career he was a Senior Research Scientist at the Raytheon Company Research Division. Bass is a Fellow of the National Academy of Inventors (NAI), The Optical Society (OSA), Laser Institute of America (LIA), and American Association of the Advancement of Science (AAAS) and Life Fellow of the Electrical and Electronics Engineers (IEEE). In 2014 he received the R. W. Wood Prize of the Optical Society of America. Bass holds 34 U.S. patents.